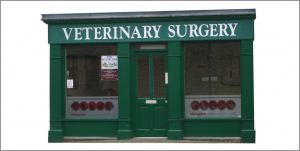 There has been a veterinary practice at our present Hospital site in Aylesbury for over 100 years, which at that time was on the edge of the town and where the vet worked out of his Georgian house with stables in what was his back garden. 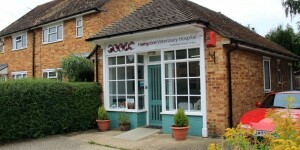 This building continued to be used as part of our Small Animal Hospital till 2009. 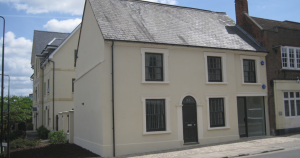 We fully renovated it in 2011 to use as our Farm Practice Office. The Practice in its present guise was established in around 1935-37, and as was tradition at the time it was known as "Anderson and Bugg", then in 1970 the Practice changed its name to "Tuckett, Gray & Partners". In 1991 when Mr Tuckett and Mr Gray retired it became Hampden Veterinary Hospital and it is this name that the Practice goes by today, with our Equine and Farm Practices also known as Hampden Equine Veterinary Practice and Hampden Farm Veterinary Practice to recognise their separate accreditation with the RCVS. 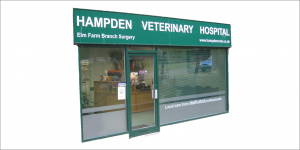 Hampden Veterinary Hospital under the name of its Partners at the time, was one of very first veterinary Practices to be formally recognised as a Veterinary Hospital in 1967, carrying the Registration Number "1". 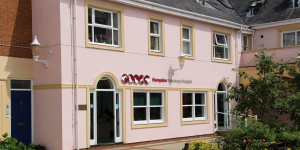 In 2009 we rebuilt our Small Animal Hospital on the existing site with a fully modern 3 operating theatre Hospital, dedicated to inpatient care and emergencies, and which also acts as our headquarters for the whole Practice. 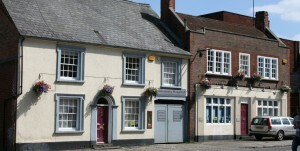 As this time the entrance was also changed from Cambridge Street to the adjoining Anchor Lane. 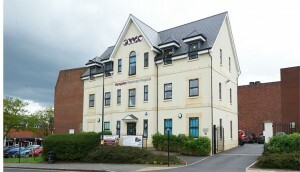 A quick fact - as the Hospital is the only building on Anchor Lane it has its own post code - HP20 1AJ. 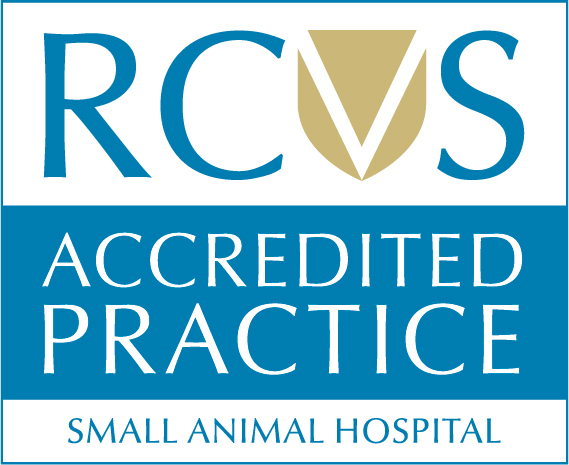 We are extremely proud of our Small Animal Hospital accreditation by the revised RCVS Practice Standards Scheme, which was launched in January 2005 to establish a high quality assurance framework to promote and maintain the highest standard of veterinary care. There are only about 150 accredited Veterinary Hospitals out of 4,000 practices in the UK. 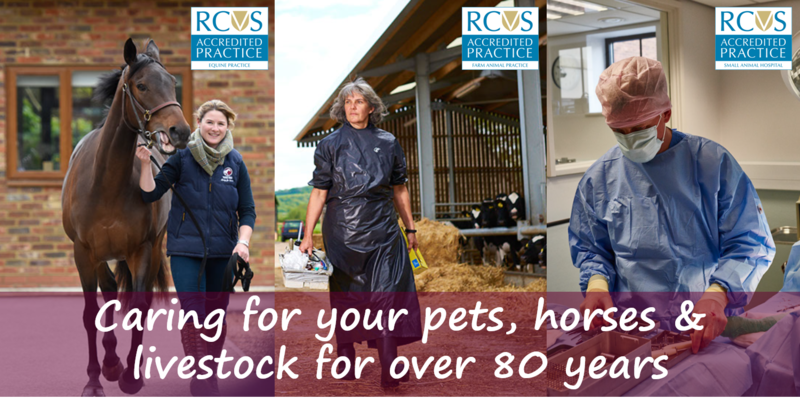 We have a large team of veterinary surgeons that cover our Small Animal, Farm and Equine departments, a veterinary surgeon from each department is available 24 hours a day to ensure we are available for you and your animal. In addition the Practice is supported by a great team of dedicated veterinary nurses, lab technicians, receptionists, grooms, accounts, and management. In 1997 the Practice hosted the award winning BBC One television series “Animal Hospital". The Small Animal Hospital today is supported by 4 Small Animal Branch Surgeries in and around Aylesbury that provide clients with a true local service for their routine pet care. Haddenham opened in 1986, Elm Farm in 1988, Watermead in 1990 and Fairford Leys in 2000. In 2009, Matt Baker from the BBC's One Show and Country File, opened our new Veterinary Hospital. Built on the same site as our old hospital means that a veterinary practice will continue to located here for hopefully another 100 years. 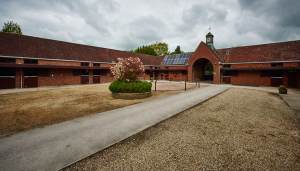 Our Equine Clinic moved from Mursley (near Winslow) to Whitchurch (near Aylesbury) in 2005, which enabled us to provide dedicated and specialised surgical, nursing and hospitalisation facilities for all types of horses including ponies, hunters and thoroughbred racehorses. 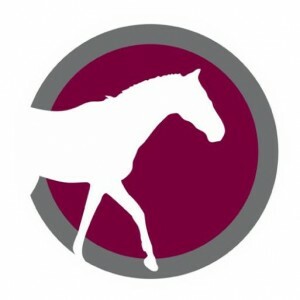 Originally trading as "Baskerville, Horgan & Partners", after the partners who established the Equine side of the Practice in the early 1970s, the Equine Dept was renamed to Hampden Equine Veterinary Practice at the beginning of 2015. With the number of veterinary practices that provide services to farmers and livestock holders having reduced significantly over the last 10 years, our Farm department now provides a large percentage of all the veterinary services to these clients within 30 miles of Aylesbury.